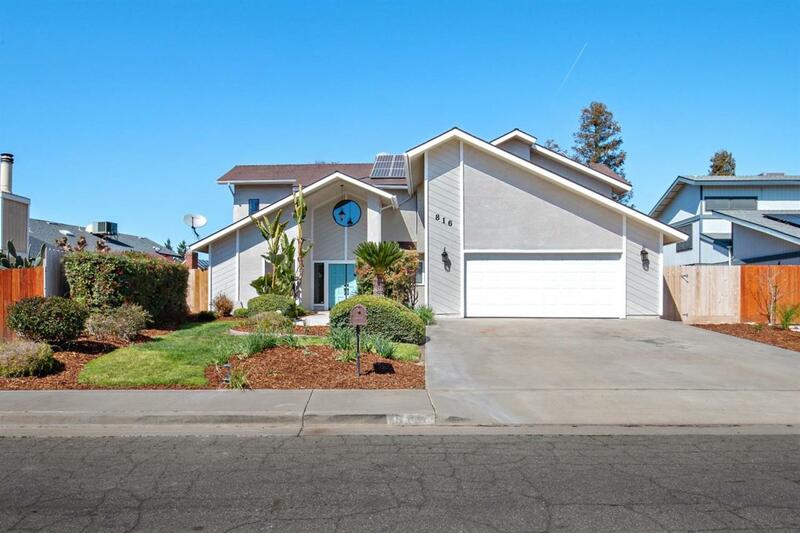 This custom home features 3 large bedrooms, 3 bathrooms, large office and a loft. This home has so much storage you will need to buy more stuff to fill it. Floor to ceiling dark brick gas fireplace. New granite counter tops in kitchen, bathrooms and laundry room. New oven, dishwasher and microwave. Walk-in pantry. Ceilings in the living room are 22 feet tall at the highest peak. Atrium windows in the dining room looking out into the backyard facing the pool. Plenty of natural light with all the windows. New sinks, faucets and lighting fixtures. Storage shed attached to the house for pool supplies. Freshly painted exterior and a new 7' fence on all 3 sides of the home. New garage door and opener. 18 Solar Panels. SOLAR IS OWNED! Listing provided courtesy of Robert Kambourian of Keller Williams Realty-Tulare.